Description: 1. The Great Guns by H. Peterson & R. Elman, @ 1971, 252 page hardcover in jacket. 2. Guns and Rifles of the World, by H. Blackmore @1965, hardover in jacket 3. The Treasury of the Gun, by H. Peterson, @ 1962, 252 page hardcover in jacket 4. The Collecting of Guns, by J. Servin, @ 1964, 272 page hardcover in jacket 5. 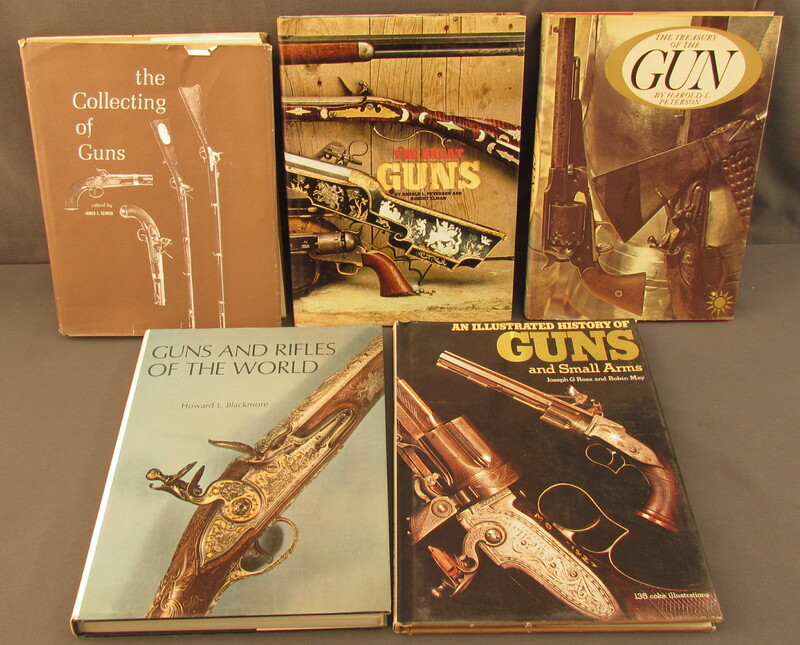 An Illustrated History of Guns and Small Arms, by J. Rosa & R. May,@1974, 96 Page hardcover in jacket. All 5 books in used very good condition.